Fivetran, a new Y Combinator-backed startup that is launching today, wants to bring spreadsheets into the modern age and make it easier for users to work with messy data and analyze large amounts of information. Most people, for better or worse, use their spreadsheets as databases, and Fivetran acknowledges this by combining SQL-like queries with standard spreadsheet functions and statistical tools that will look familiar to users of more advanced tools like Matlab. As the founders told me, there is still a huge gulf between tools like Excel and Matlab. The earliest prototypes of Fivetran still leaned more toward the Matlab side of things and looked more like a programming environment. Today, however, the service is more like a regular spreadsheet with extensive wizards that guide you through complex data transformations (including regression models) and the SQL-like selects and joins, as well as the tools data cleaning and text-mining features. Because the calculations happen in the cloud (on Amazon’s EC2 platform), spreadsheets can be extremely large and complex. The service, which the team started working on last December, allows users to upload Excel documents, as well as CSV and JSON files and start working with them immediately (in the long run, the team plans to add direct connections to databases, too). To give people a better idea of the power of Fivetran, the founders also created a March Madness bracket simulator, as well as a set of tutorials. Once they have added their initial data, users can manipulate it using Fivetran’s “step” system, which allows them to create additional sheets based on their calculations. This is a bit of a departure from how most spreadsheets work, but you can also still use your familiar Excel formulas (think SUM(a,b) etc.) to work with your data as well. The team is currently working on adding unit testing and a revision control system for spreadsheets. 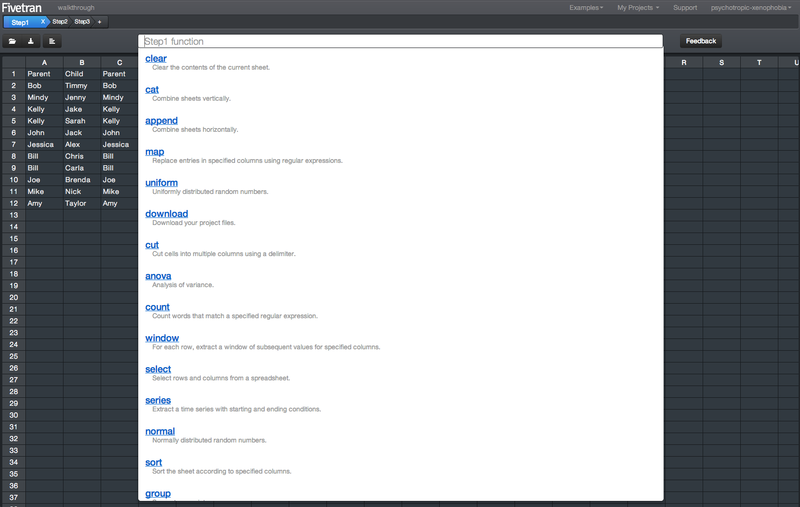 Fivetran is using an interesting pricing model that is a bit similar to what you would expect from a hosting provider. There are free accounts that allow you to create up to five projects that can use up to 1GB of memory. Basic accounts start at $20 per month for 5GB of memory and 10 projects and go up to $80 per month for those who need to work with very large spreadsheets (16GB of memory) and a lot of CPU power. Overall, this is a very interesting approach to bringing spreadsheets into the age of cloud computing. It’s obvious that there is a need for a tool like this, especially as information workers now need to handle an ever-growing array of data but don’t always have the ability to use complex statistical tools. Early users, the team told me, ” are already saving hours per week of drudgery” with Fivetran. 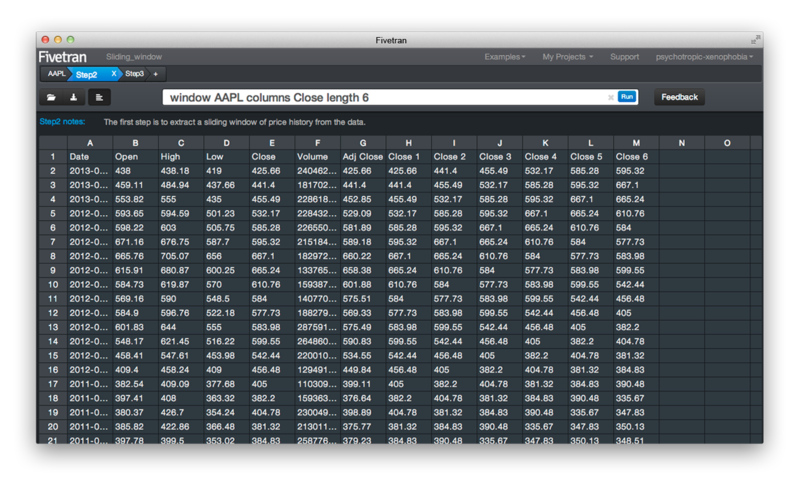 So if you feel like you are spending half your day copying and pasting cells in Excel, give Fivetran a try.